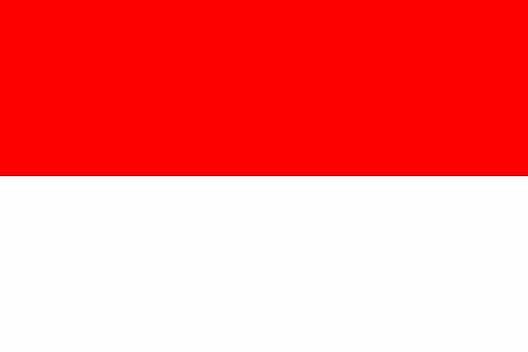 The Indonesian flag was officially adopted on August 17, 1945. 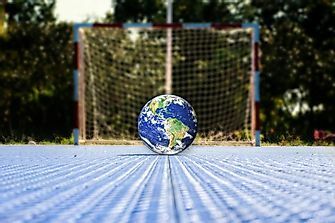 The flag is modeled after the 13th century banner of the Indonesian Empire; the red stripe represents the body, while the white stripe represents the soul. 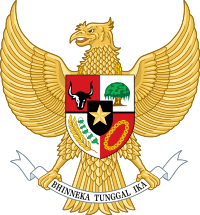 Called Garuda Pancasila, the national emblem of Indonesia is composed of a Garuda (large mythical bird) and heraldic shield.